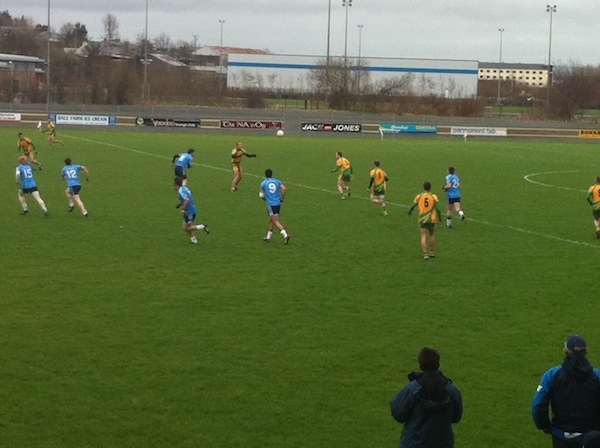 A solid display and the blooding of a number of younger players was not enough for Donegal to beat UUJ at O’Donnell Park today. 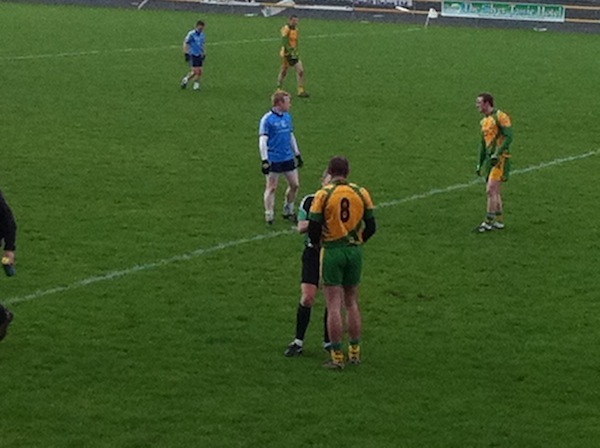 Jim McGuinness’ side were beaten by two points 0-9 to 0-11 but could easily have clinched the game. McGuinness will be pleased enough with his side’s overall progression but will probably be disappointed not to have won the game. Played on a crisp day, a decent crowd turned up at the Letterkenny venue for Donegal’s first competitive encounter since losing to Dublin in the All Ireland semi-final. The teams went on 0-5 a piece at half time in what was a lively open half. Donegal seemed to sit back and allow Jordanstown into the game during the middle of the second period. The College team can thank inspirational full forward Kieran Hughes who had an outstanding game up front and then in the middle of the park as the game came to its conclusion. 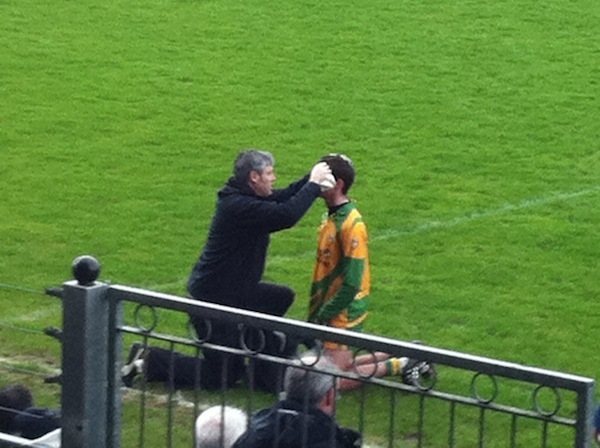 For Donegal, McGuinness will be happy with both some older and younger players on his panel. Those who showed well on the day include Neil Gallagher, despite being sent off late on, as well as Ryan Bradley, Dermot Molloy and substitute Patrick McBrearty. There was no sign of Michael Murphy who would have made a major difference to such as open, free-flowing game. Nonetheless McGuinness will be content that his players have wintered well and still look very fit after the Christmas period.